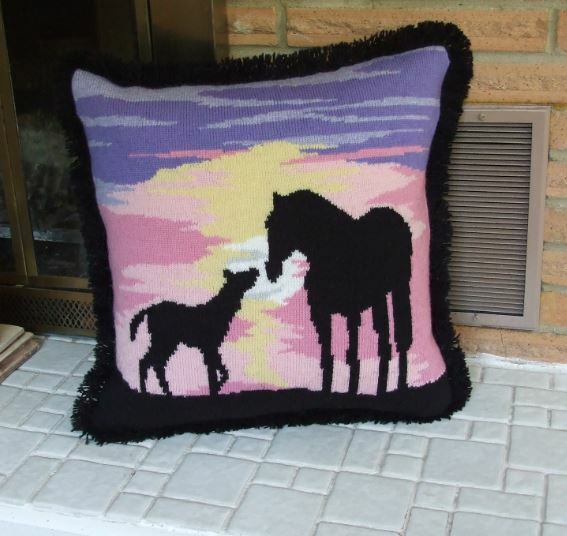 I haven’t posted for a while as I have been in the process of moving to our new home, so as you can imagine, there has been very little time for knitting, but alas, my Equine Sunset designer pillow is finally finished. As a final touch, I added a short fringe to complete the project. Below are photos of the front and back. You can see that I added my grand-daughters initials in the lower right corner to break up the solid black back (I get board easily when knitting solid colors). 1) When working on the back, check your gauge often. Why? Sometimes when you are switching back to a solid color after working with intense color changes there is a tendency to tighten up you gauge. 2) When trimming your fringe, lay it over your fingers so that the trimmed yarns fall on the solid black back, and NOT on the light portions of the front design. Why? 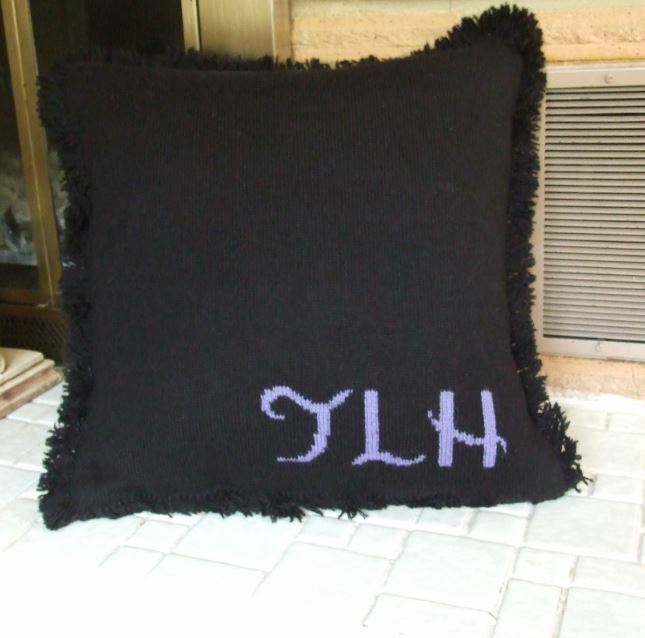 You will be picking off the black yarn tips for hours just to clean up your picture. How do I know???? Guess!!! 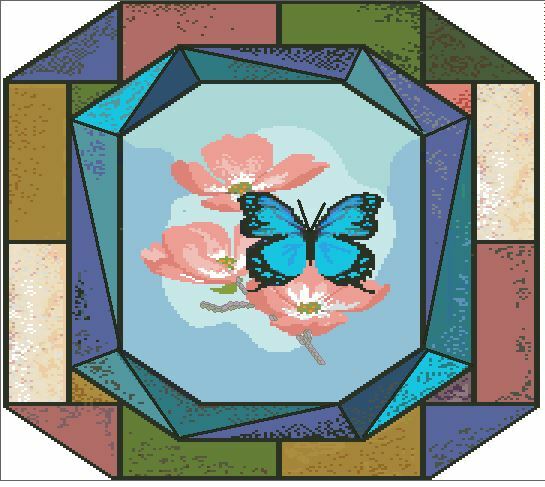 In the past I have made and effort to include all the special instructions with every pattern design, however since I have written the e-books for you to download free, in the future I will be only uploading the charts of the designs, the yarns required, and the necessary knitting notes. 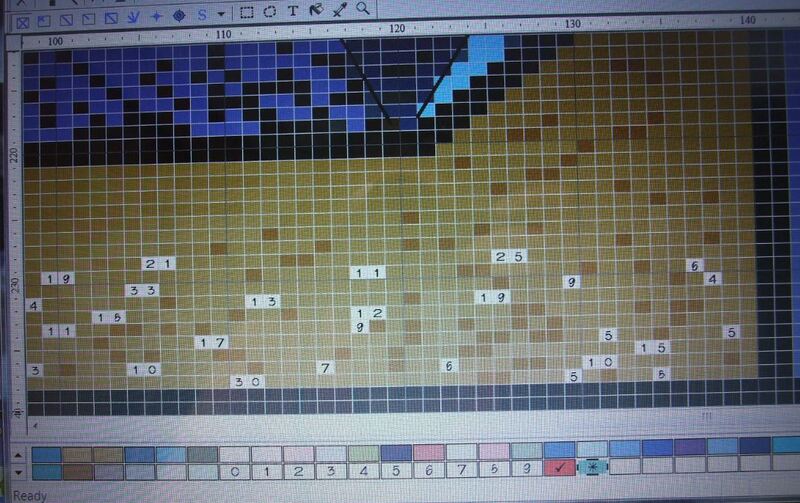 However, if I do anything different than what I have previously posted for you, I will include it in the pattern. In the case of “Equine Sunset,” the back chart will not be included. 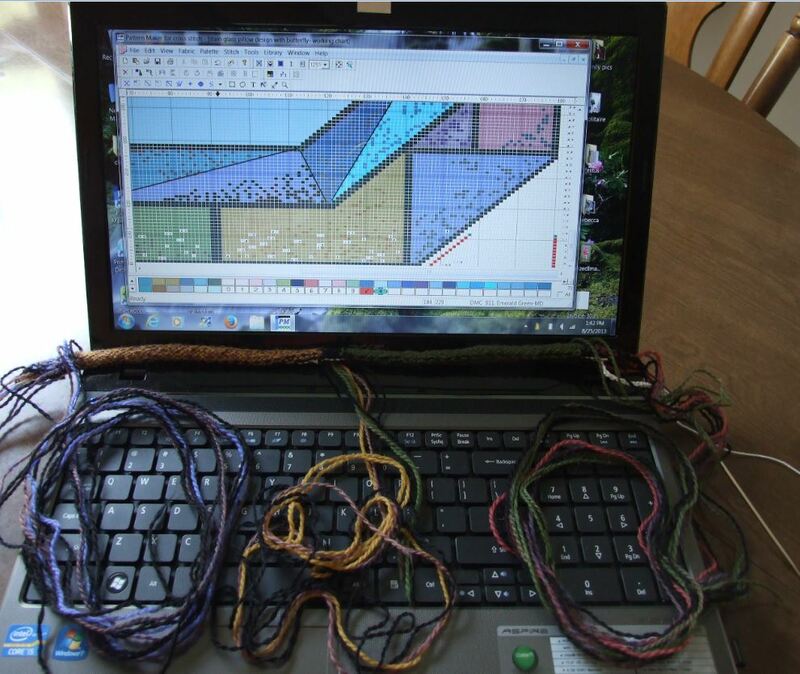 You can work up your own chart, or knit it plain.